Has your beautiful summer glow faded? Does your skin need a pick-me-up? 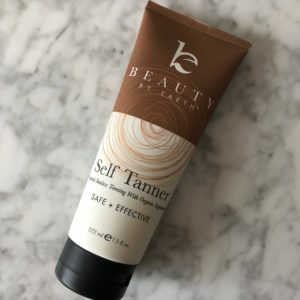 Beauty By Earth is my favorite self tanner. It provides a beautiful, natural looking tan and goes on with ease. 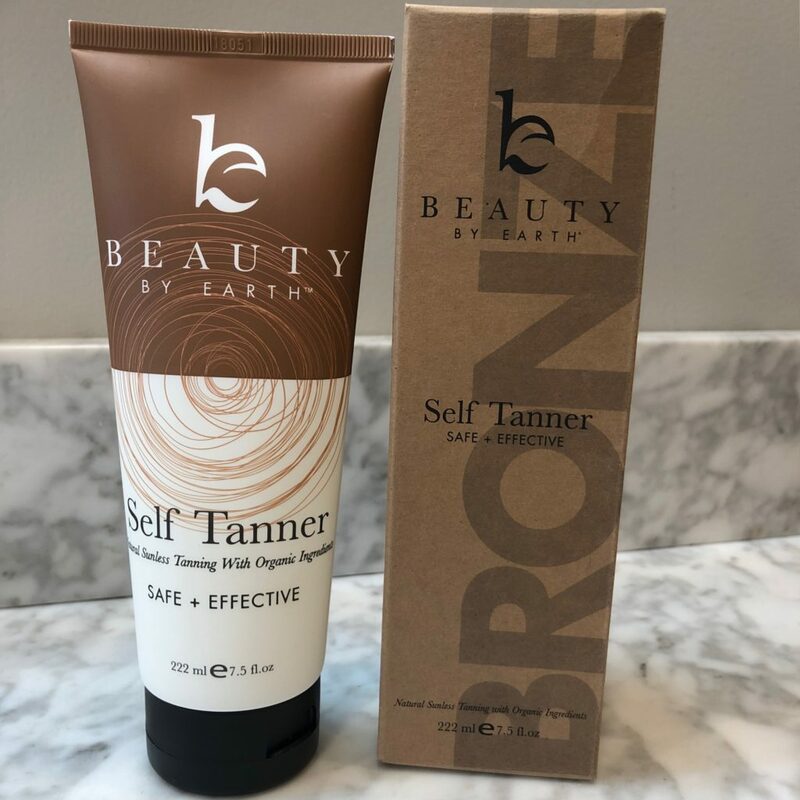 This self tanner is made and packaged here in the USA, in an FDA certified lab. Exfoliate your skin before applying. Don’t rush your application, take your time and make sure the lotion is rubbed in well for a smooth finish. For the face, hands, feet, elbows and ankles, mix tanning lotion with regular moisturizer. Rub in well and wipe away any excess to avoid spots. 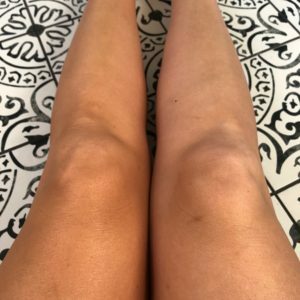 After the application of tanning lotion on ankles and elbows, use a regular moisturizer to smooth out the finish a bit more. Wash your hands thoroughly half way through and at the end of applying the tanning lotion to avoid splotchy hands. Don’t shower for at least 4 hours. Apply your tan 1-2 days before any big event. To have a nice glow all winter long, apply once a week. A nice subtle glow after one application. 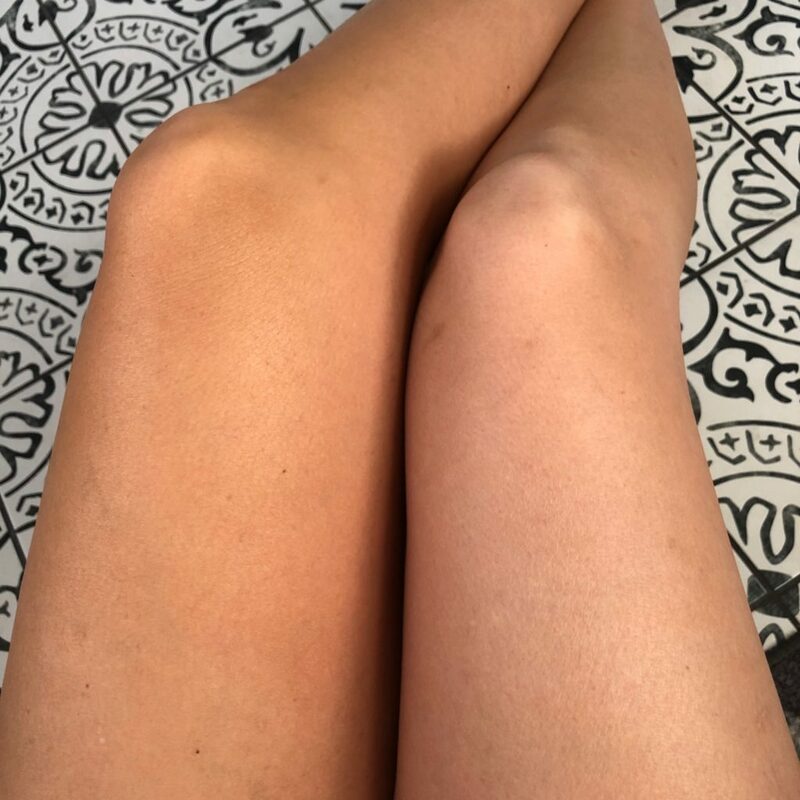 If you desire a darker tan, you can apply another layer of “glow” after the first one has set. Roughly, 4 hours later. Beauty by Earth can be found on Amazon.com. 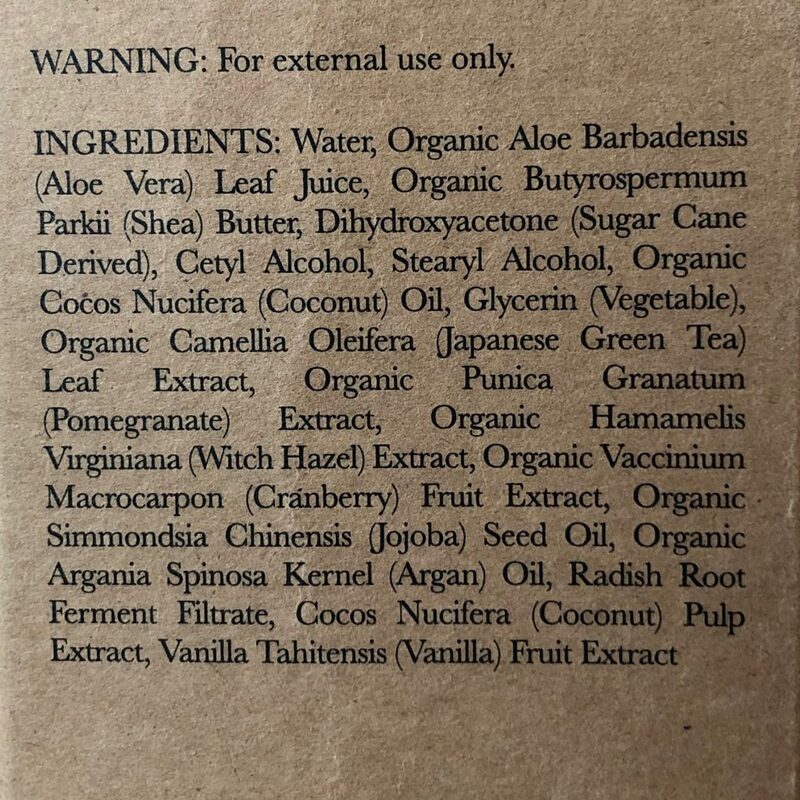 It is roughly $27 per bottle and it will provide quite a few applications. I get compliments on how natural this tanner looks. People are always asking if I just went on vacation. 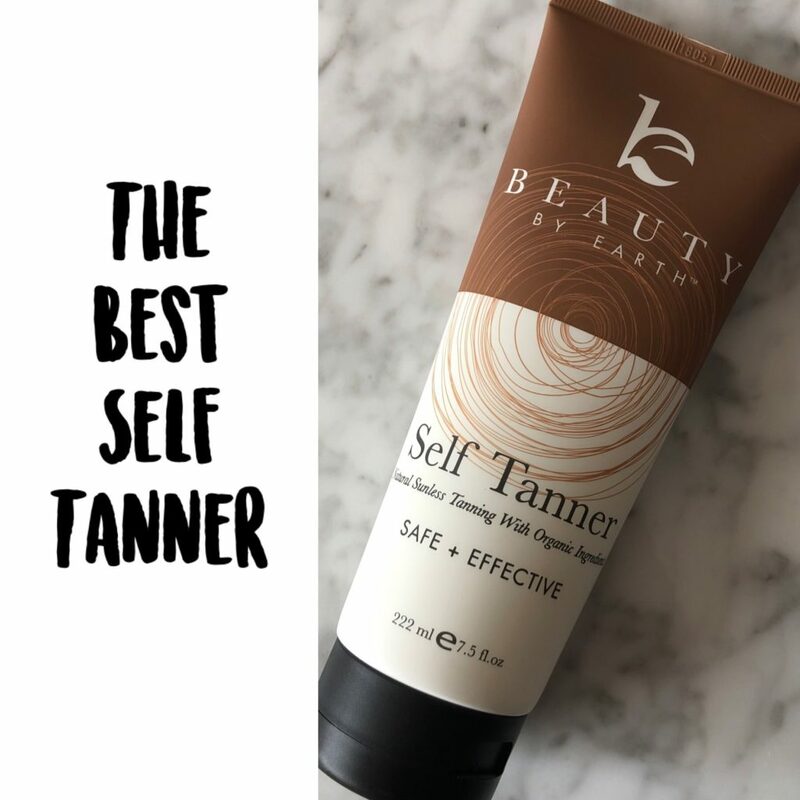 I hope you love this self tanner as much as I do.